First up on THE MORA HOUSE rental plan agenda was the great couch debate. This couch cost an arm and a leg, we had lofty dreams of it being our forever couch so we made the investment. But it’s enormous. And a sectional. And perfect for this room. So how could we possibly take it with us? I don’t think we will. The plan, as it stands, is to leave it and pray to the rental gods that people are kind to it. Rental gods, do you hear me? I love this couch. I really really REALLY don’t want to have to replace it in two years, ok? Next up- A HANGING CHAIR! Because it makes the room SWANKY, right? I don’t know. That’s what I said when Lou told me the room didn’t NEED a hanging chair. 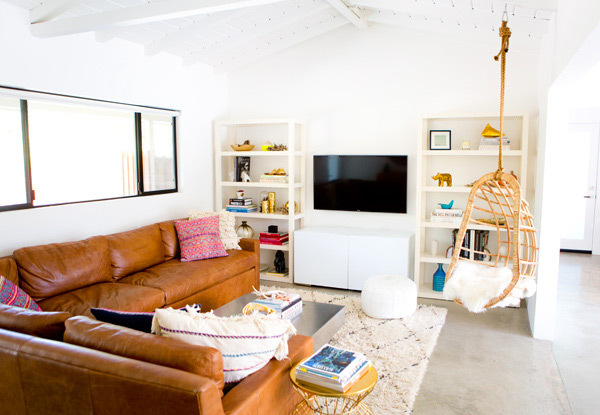 But what room DOESN’T really need a hanging chair?! I’m in love with it. Ten times over in love. In my mind it completes the room and I can barely understand how we ever lived without it. When we shifted our plans we said goodbye to the idea of the built ins we’d been planning for the living room (remember this? we’ve come a long way baby!) and said HELLO, LOVELY to these West Elm Parson shelves and this CB2 credenza. It saved us $9,000 and I think it was a brilliant compromise. YES, you read that right! Built ins are CRAZY EXPENSIVE!!!! A crazy expensive investment that may make sense when you own a house and intend to live in it until your last hair turns grey, but not so much for a rental house. Now the room has a strong focal point, the bookshelves are filled with pretty things to look at and read and it still is visually light enough to keep the room balanced with that ginormous brown couch. A sure WIN for The Mora House! And last but OMG definitely not least, the dining room progress sneak peek! We relocated the Nelson chandelier that was in the house when we purchased it and hung this copper pendant lamp. The bookshelves are being painted white after a silly amount of “should we, shouldn’t we’s” and while they’re gone I’m basking in the glory that is this minimalist dining room. It just photographs so beautifully! As for the return of the bookshelves, I have this vision of them being scarcely decorated with only things that are black and white. I know, it’s a rare form of neurosis and I have zero idea how I am going to find enough thrift store goodies that are black and white to fill those shelves. BUT I INTEND TO TRY! Now, for the details about renting our home sweet home… the house will be available starting in July. If you’d like to be notified when the website is live for rental opportunities, please email hello@ahouseinthehills.com and let me know what dates you’re interested in. In turn I’ll email you as soon as the rental site is up and running! OR, you can follow along with progress updates here, I will post as soon as the site goes up. Thanks so much for following along on this nutty adventure of ours! SOURCES: Coffee table: Vintage, Pillows: Amber Interiors, Pouf: Overstock, Hanging Chair: Two’s Company, Bookshelves: West Elm, Credenza: CB2, Floating Shelves: commissioned a builder for my design, Copper Pendant Light: Viso, Dining Room chairs: CB2. There's something so special about living near the water. We live ten minutes from the ocean and I can't imagine being land locked. Congrats on your move! I've always wanted to visit Palm Springs…it looks so serene. I love your table and chairs as well as that divine mirror! What a beautiful space! what exciting news~i'm sure you'll have quite the waiting list. i've recently discovered that i love san diego, too! also, in an attempt to refresh my eating habits, i started browsing recipes, and your blog immediately came to mind. i ended up going through your recipe archives, bookmarking so many of your meals that i had overlooked in the past. i'm excited (and nervous) to try my hand at them! This space just gets more and more beautiful! And congrats on the big decisions! How gorgeous! 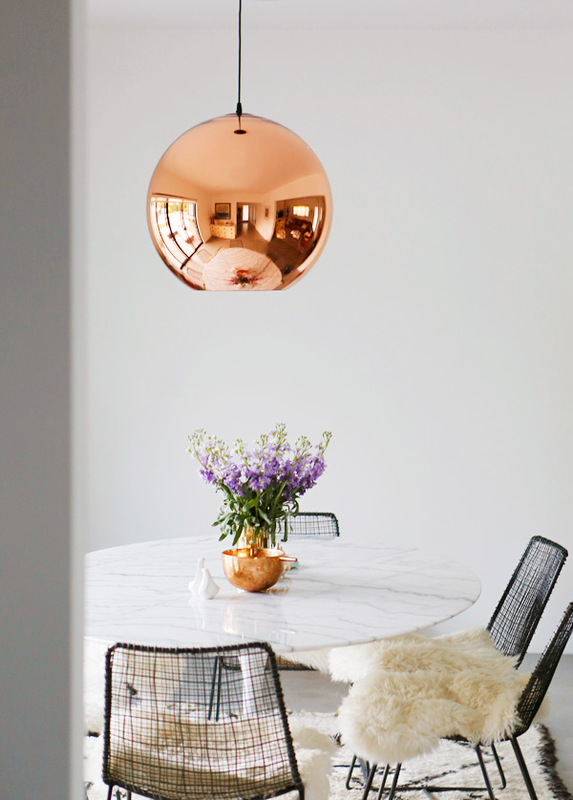 I especially love that last picture…the copper light, the Saarinen-style table, the great chairs, it all works so well together! oh god! i hope the rentees are good to that amazing couch. makes my stomach flip thinking about it! beautiful space! So thrilled you'll be moving back to San Diego! Hope to see you at more events, etc. 🙂 And those vacationers who get your house are LUCKY. exciting news! I would love to rent this place!! i am IN LOVE WITH THAT COUCH! holy smokes. it reminds me of the one i grew up with. a big fat leather sectional that my friends and i would rearrange and make fun little forts with. my boyfriend and i are redoing his family's farm house and i am about to show him all of these pictures because they are amazing and so inspiring!! You've done an amazing job with your place!! 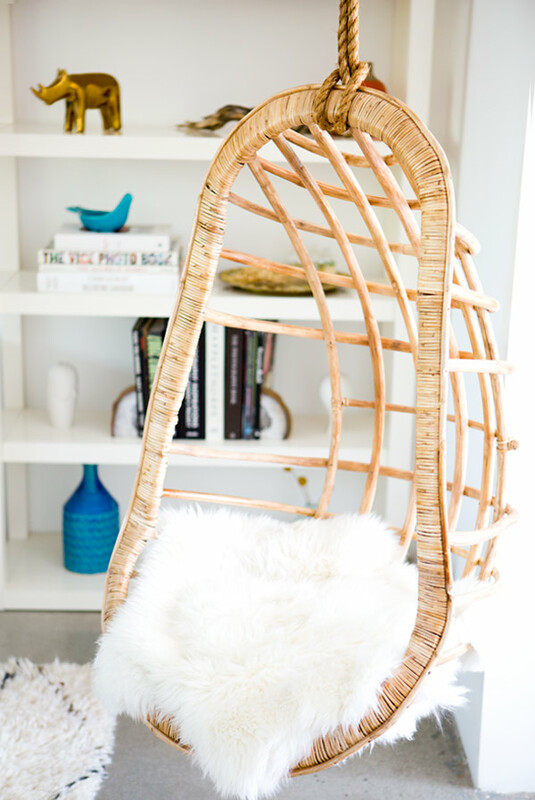 The swinging chair was a great call – I love it! 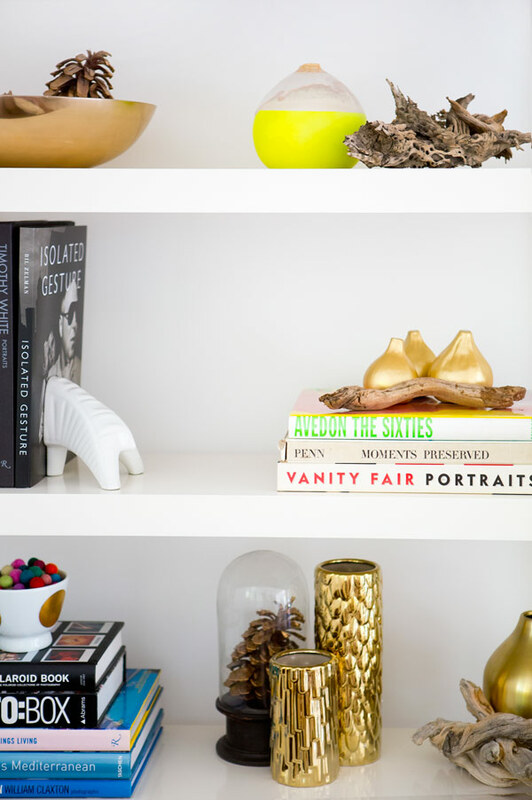 I'm bookmarking this for the next time I can make an excuse to get to Palm Springs! Love, love, LOVE this! This space is amazing! AMAZING!!! SO crazy watching this space change since I was there last!! I love it, you're SO GOOD!!! Three cheers for San Diego! We moved here from LA a few years back and it really is lovely…as much as we love our weekend escapes to the desert 😉 Welcome! when i read this paragraph i thought i could also create comment due to this sensible piecce of writing. dont rent to ppl with pets or kids if you want that couch to stay nice! eek!! 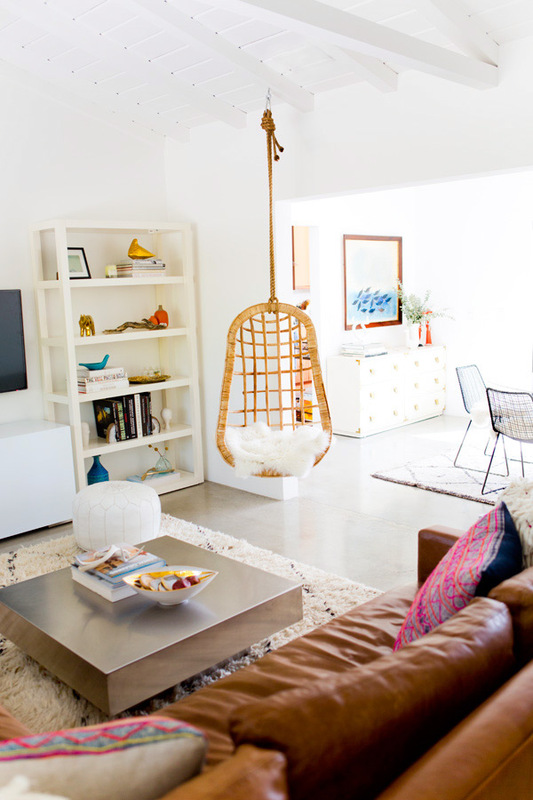 the hanging chair will rent the house alone! gorgeous. all of it. I'm OBSESSED with the campaign chest in the dining area! Where did you find it? I've lived in both Palm Desert and San Diego and each are fabulous. Luckily, they're just a short drive from one another! The house is gorgeous! How many people can it sleep? 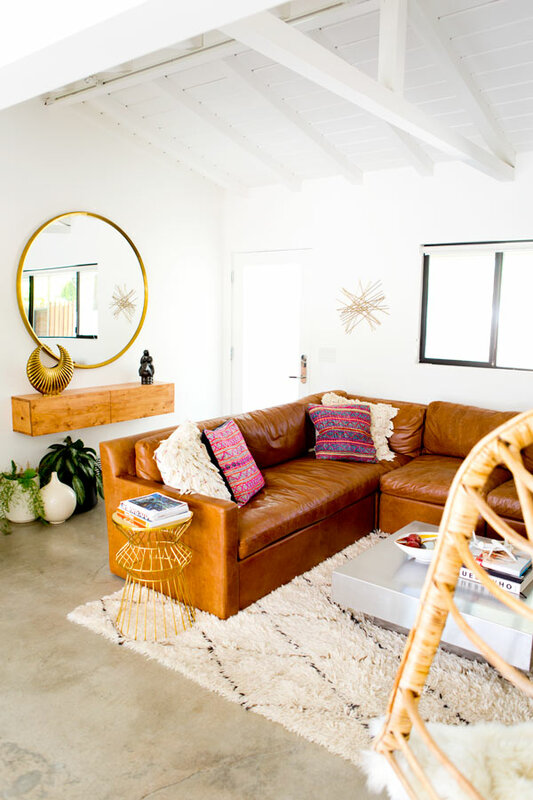 Where is your leather sectional from? Wow ! At least you keep the house and you will be able to come back anytime. I get it when it doesnt feels right to be somewhere, I mean Im living it right now, you have to take actions and go wherever you know you will be happy. Very much interested in a rental around septembre, Ill be emailing! Well done. SD is great, and a great change from the desert. When we come around those parts of the world next (soon hopefully) i'll be sure to look up your place to stay in. We hope to do something similar by living somewhere else, but renting out our place in Puglia. A plan that is slowly in motion. Ah! I haven't had a reason to visit Palm Springs recently but now I almost have to so I can stay in this PERFECT home of yours. So incredibly well done, I love every shelf. Good luck with your move back to San Diego, I'm sure it will feel wonderful to be home! This living room is like a dream! 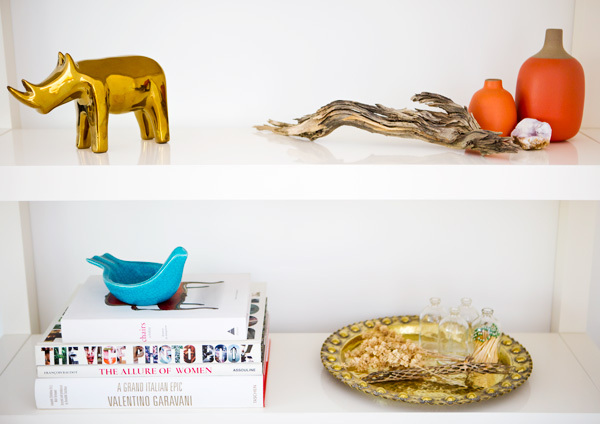 Love the mixed metals and pops of neon. And that dining room pendant? Stop. It's too good! Just curious, where did you purchase the fur chair covers that are shown here? I am having difficulty finding them in high quality. 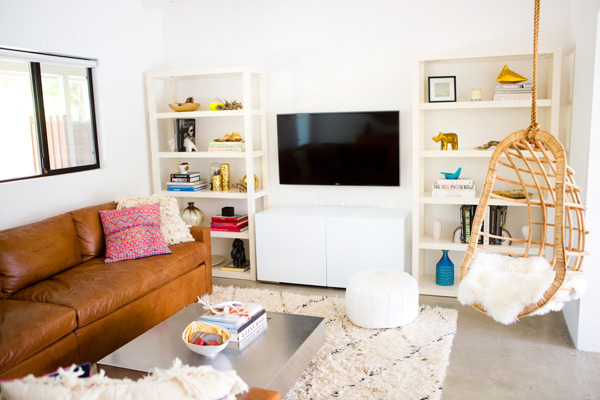 Hi, I like the styling of your living room. I especially love the rug, may I ask where you sourced it? On peut tе dikre que ce n’est guère faux !!! Can you tell me the color of the leather couch? It is beautiful! Can you please tell me where your dining room framed print is from? Love it! Thanks! May I ask where you got the dining room table? Beautiful home! can you please tell me where you bought your run? Is it from Morroco or is it a knock off? Either way, I love it! Hi Sarah – I know this is an old post and you might not see this comment, but I would love to know where you got the large, round mirror? Thanks! Hi, I love what you’ve done here. Where is the hanging chair from? In love with your couch, please share where it was purchased? Where did you get the couch?? Hi Sarah, beautiful home! I would LOVE to know where you got the round mirror from! i’m searching and can’t seem to find one that is that big and minimalist at the same time, if that makes sense. Thanks in advance!! Hi There! I LOVE the scale of that round mirror, did you purchase that from a store, or have it custom made? I love that couch! Please share where it’s from??? Everything looks so great! Just wondering, where did you get the large gold rimmed circular mirror? Can you tell me the color and make of this RH couch? My family and I are looking for one and this looks perfect! 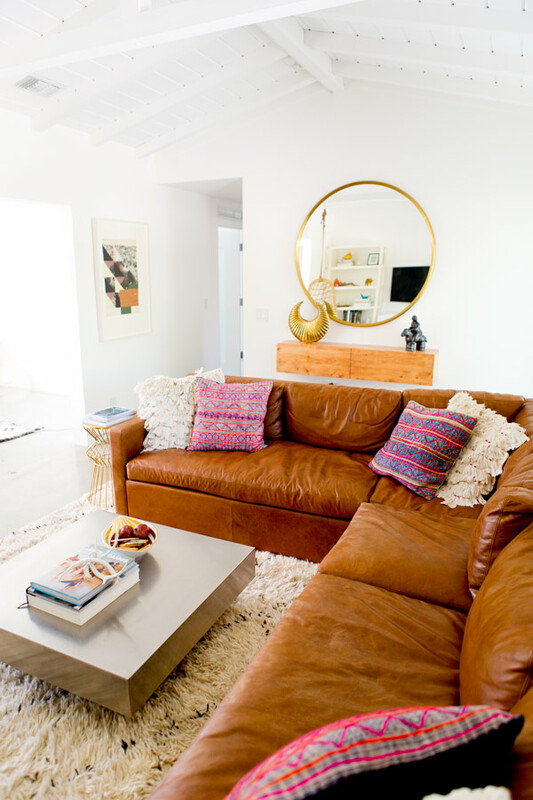 Hi there – I know this is an older post, but these images were featured in a recent article on The Everygirl and I am dying to know the source info for your gorgeous couch! Thanks for any info you can provide. This room is soooo beautiful! I’m obsessed with the couch? Can you tell me where it’s from?